The findings of two studies published on Tuesday by the BHA reveal in stark detail the effects of the hazardous short cuts taken by some jockeys to control their weight, with low bone density and lasting damage to the digestive system among the dangers faced. An Oxford University study, involving 187 young riders fresh out of racing school over the last five years as well as input from 250 retired jockeys, concluded that male jockeys were 12 times more likely to have reduced bone density than the general public – increasing the chances of fractures – while having a higher body fat percentage (at 14 per cent) compared to similar weight-related sports such as boxing's eight per cent. 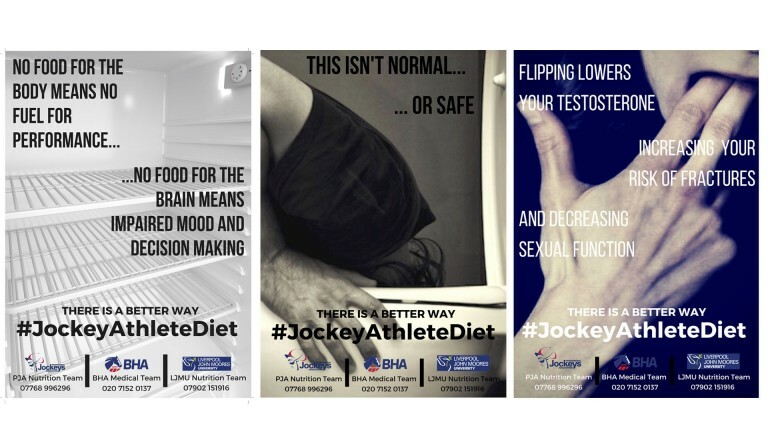 An immediate response to the study, along with similar findings from research conducted by Liverpool John Moores University, is a hard-hitting poster campaign by the BHA centred on the importance of nutrition and the dangers of practices such as 'flipping' (self-induced vomiting) which will be seen in racecourse weighing rooms alongside a social media thread #JockeyAtheleteDiet. The posters feature messages such as: "Flipping lowers your testosterone, increasing your risk of fractures and decreasing sexual function" and "No food for the body means no fuel for performance . . . no food for the brain means impaired mood and decision making." All the posters sign off with the tagline: "There is a better way." The BHA hopes the results of these studies, funded by the Racing Foundation, will lead to jockeys having longer, healthier careers with less time off injured. The Liverpool study interviewed jockeys' support networks including their agents, trainers, coaches and racecourse clerks to build a picture of issues around work schedules involving eating and nutrition. Researcher Dan Martin, also a member of the PJA nutrition team, said: "This research starts to shed light on why jockeys maintain hazardous weight management techniques." 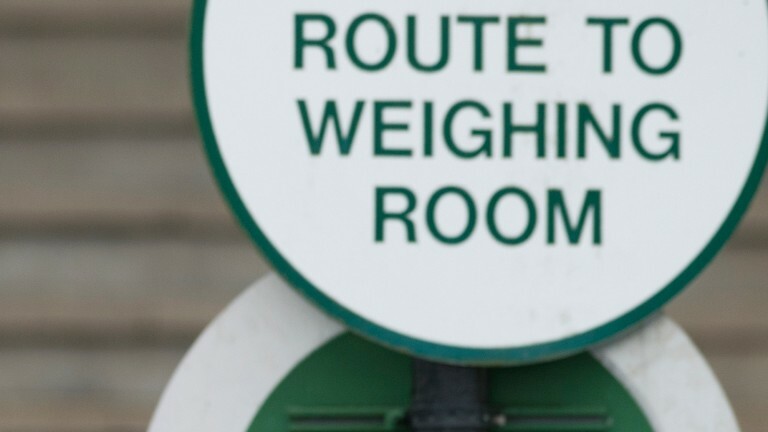 Last year the Racing Post highlighted that a flipping problem still existed in the weighing room many years after former champion Steve Cauthen admitted to the practice of making himself sick after eating a meal to keep his weight under control. Dr Jerry Hill, the BHA's chief medical adviser, said: "Our objective is to show our jockeys that 'there is a better way', which will be the campaign's strapline."